The IATA CEIV Pharma certification program has just signed up its first Chinese airport. 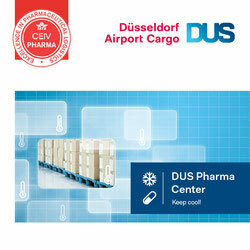 Shanghai’s Pudong International Airport Cargo Terminal (PACTL) has been awarded the Center of Excellence for Independent Validators (CEIV) in Pharmaceutical Logistics. Shanghai’s cargo cool chain infrastructure now follows up on Brussels, Singapore and other airports around the world in becoming CEIV certified. IATA had established this certification program in order to assist firms within the entire air cargo supply chain to gain excellence in their pharma handling operations. Canada’s CargoJet Airways which has not had an easy time during the past months has now renewed its existing agreement to provide TransForce (TFI Holdings) the Canadian logistics company with nightly air freight capacity over their domestic Canadian network. The agreement is for the transport of time sensitive overnight cargo on behalf of the TF subsidiary, Loomis Express Information Communication Services (ICS). The deal encompasses fourteen major Canadian cities. The contract is for a three-year period with options for two one-year renewals. Kassel Airport, which opened three years ago and is not that far from Frankfurt International, seems to have hopes of bettering their figures by concentrating more on air cargo. The airport has seen its passenger figures drop considerably and blames this on decline in tourist traffic to countries such as Egypt, Tunisia and Turkey. The airport managers hope to expand cargo handling at the airport to up to 2,000 tons per annum this year. Last year’s air cargo figures showed a meagre 168 tons in total. The state of Hessen is apparently insisting that the airport must generate at least 10 percent less loss each year otherwise they run the risk of closing down. Last year the loss was €6.1 million. Whether such a small air cargo contribution could change the picture, remains to be seen. Summer is almost here again and the Cologne-Bonn Airport is forecasting another increase in traffic as from the start of the new summer flight plan. Of course, the new Eurowings long-haul flights will be a deciding factor in this increase. The airport management states that a total of 124 destinations to 46 countries will be operated by 26 airlines from CGN. The Eurowings long-haul destinations are to the USA, Mexico, Caribbean and the Far East. The summer flight plan shows a total of 26 new destinations being served from CGN. 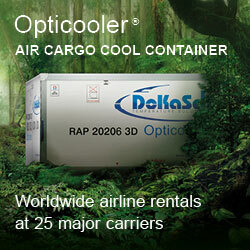 There is plenty of scope there also for cargo transportation and handling at the airport. 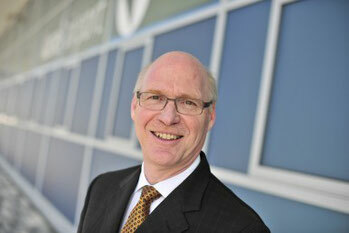 Michael Garvens, CGN’s CEO is confident that the passenger figures for this year will once again reach an all-time high. The airport has been able to attract new carriers to their tarmac. These include Turkey’s Borate, Small Planet Airlines, Pobeda, Tailwind Airlines, Adria Airways and Tunisair. It was announced at the end of last week that Atlas Air’s acquisition of Southern Air Holdings has been completed. The price is said to be US$110 million. By getting Southern Air, Atlas adds B777-200Fs and B737-400Fs into a combined fleet, which will now total 75 aircraft within the Atlas subsidiary companies. Atlas alone operates 40 B747 freighters of which ten are the latest B747-8F version. Southern Air operates five B777Fs and five B737Fs under contract to DHL Express. Also in Southern Air’s portfolio is the Miami-based Florida West International Airways, which operates Boeing 767-300 freighter services for Chile’s LAN Cargo. Cambodia’s capital, Phnom Penh is Emirates Skycargo’s 13th all-freighter destination within the Far East. Operations from Dubai will be with a MD-11 freighter, which is being leased in for the service. The aircraft can carry 80 tons of freight on that route each flight. A special trucking service is being set up in Phnom Penh in order to distribute incoming cargo throughout Cambodia. Cambodia is seen by many as one of the fastest growing markets and airport statistics show that almost 40,000 tons of air freight passed through Phnom Penh in 2015. This represents almost 15% above the year before.